"Dr. Ali is simply the best there is in town." "I can honestly say Dr. Ali is one of the best doctors out there." Dr. Ehsan Ali, MD is Board Certified in Internal Medicine. He also completed a specialized training in Geriatric Medicine. Upon completing his medical training from NYU, Dr. Ali Ehsan moved to Los Angeles. His work experience includes being a physician on staff with the Cedar-Sinai Medical Group, where he was a primary care doctor. He also has worked as a “Hospitalist”, which is the care of patients while they are hospitalized and suffering from acute/critical illnesses. Dr. Ali's office is located in Beverly Hills and he currently offers house calls to his patients in Beverly Hills, Bel Air, West Hollywood, Brentwood, Santa Monica, Malibu and surrounding areas of Los Angeles. In his spare time, Dr. Ali volunteers at free medical clinics in inner city areas, to help provide medical care to uninsured patients. Dr. Ali also is a clinical instructor to medical students from UCLA. In case of an emergency, you can simply give us a call to set an appointment with one of the finest and well renowned doctor in the whole of Beverly Hills. Dr. Ali is available at all times and is ready to face all the challenges that might hinder his work. This 24-hour service makes your medical experience a pleasant one that is free of all inconveniences and appointment issues. It is your trust that has actually helped us to provide you with this service not only during a specific time period, but throughout the day as well as the night, so that you do not have to worry about your medical appointments anymore! Many of our patients are very keen to discuss their problems and medical issues in a much more detailed conversation with the doctor. If you are one of these patients and would prefer to explain your problem in a more extensive manner, please call and request for an appointment. Do not worry if it's Saturday or even Sunday, we're always available to set up appointments throughout the week. Dr. Ali is proud to have been voted Best Primary Care Doctor/Internal Medicine in "Best of Beverly Hills 2016"
Dr. Ali is featured as a Top Doctor in Angeleno Magazine. Read about it here! See Dr. Ehsan Ali featured in Angeleno Magazine as a top doctor! Concierge medical services is a special term that refers to special/luxury medical services from the doctor, not typically available from a traditional doctor. Some of these highly desirable services include calling your doctor directly on his cell phone, 24 hours a day, appointments available on weekends and late evenings, same day appointments, priority given with scheduling appointments, and house calls. Essentially, concierge medicine is having your own private doctor available at your finger tips, 24 hours a day, and never having to deal with front of staff. If you or any person who is closely associated with you, such as your child, has fallen ill and is not in a condition to visit the doctor, then you need not to stress over it. All you have to do is just inform us through a call, and Dr. Ehsan Ali will be at your doorsteps in as little time as possible. 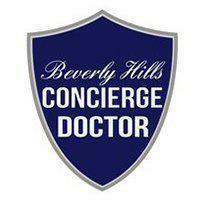 For “Concierge Medicine” Services, fees vary and can be discussed with the Doctor. Dr. Ali is affiliated with and has hospital privileges at Cedars-Sinai Medical Center. We accept most PPO insurance plans, Medicare and Self-Pay. Patients with no insurance can pay per visit out of pocket. Please call to find out if your insurance is accepted. "Dr. Ehsan Ali is the MAN! He's very knowledgeable on everything and makes me feel comfortable." "Dr. Ali is the best doctor I have met in LA. He is kind, understanding, and best of all he has a sense of humor! I recommend him to all of my friends..."
"He goes above and beyond and it's not just because we pay him. He genuinely cares for his patients. No amount of money is equal to his worth."